Our organization is standout provider of Inventory Management Software to our clients. 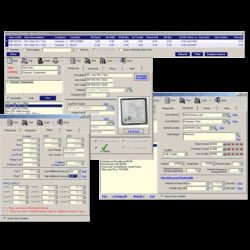 Offered range is widely used for management of inventory and offered in different specifications and customized options. Offered range can be easily updated to latest versions and all patches have been developed accordingly. Offered range is available at reasonable price. We have laid the foundation of “Macric Technologies” in the year 2009 to offer a qualitative spectrum of highly advanced range of products for various purposes. As a SoleProprietary business, we are operating our entire business operations with our operation premises situated at Chennai, Tamil Nadu (India). We hold adroitness in the domain of supply and trade of varied product range and services. Our product range includes Thermal POS Printer, Mobile Printer, Store Billing Software, Shop Billing Software, Barcode Card Reader and many more. We are also the serviceprovider for our entire product range. Our products are manufactured by our vendors using excellent quality materials and modern techniques. Being the best compliment to the need of the time, our products and software have made the business and functions of our various clients much easier and flexible. Our software is easy to operate and saves time of the user by doing calculations in no time and keeps the data in simple forms.